Summer isn’t summer without a shiny red cruiser, and Papillionaire’s Little Papi is every bit the quintessential summer ride. It was only a matter of time before Melbourne’s Papillionaire shrunk its vintage bikes down to pint-sized proportions, and we’ve been waiting impatiently for the result. Little Papi ($229) is the cousin of the grown-up Sommer bike, a vintage style bike with a step through frame, comfortable springy saddle and stitched grips. This bike would look as at home on an Aussie beach boardwalk as it would rolling through a square in Madrid, wicker basket loaded with bright flowers and a fresh loaf of crusty bread. The bike has a 40 cm frame that suits kids aged four to seven. For those kids who didn’t cut their toddler teeth on a balance bike, Little Papi has removable, light-up training wheels, as well as a back wheel rack for toting essentials like water pistols, sandcastle-building kits and snacks. 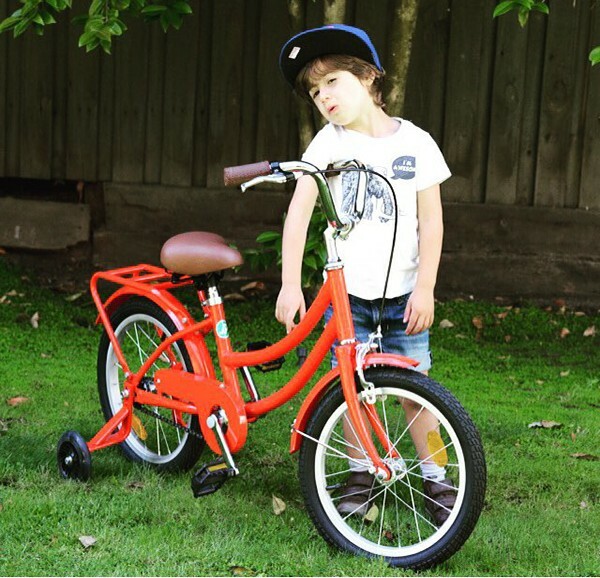 While Papillionaire’s adult bikes are fully customisable, Little Papi comes in one colour for now: fire engine red. In our opinion there’s no better colour for a first pushbike. Order Little Papi online and your bike will be shipped straight to your door, 80 per cent assembled. If you doubt your skills as a bike mechanic and live in Sydney or Melbourne, you can have your bike delivered to a Papillionaire shop and assembled by a pro.